Please call the gallery for hours of operation at 661.244-7689. Join us at our next Monthly Meeting - guests welcome! Members display & sell your art. Visit our many venues throughout the city of Santa Clarita. Visit the Exhibits page for details. Art work is for sale, and many of the artists invite commissions. To make specific donations, please visit the "Make a Donation" page. Meetings are held on the 3rd Monday of every month at 6:30PM in the Community Room at ​Barnes & Noble Bookstore. ​​All meetings are free and open to the public. For more details, please visit our "Monthly Meeting" page, or click the button to the right. We hope to see all of the members and visitors on April 15th for the next guest artist presentation. To view more about the monthly meetings, please visit the Monthly Meetings page. We recently experienced a great loss of equipment and supplies at our storage unit due to a fire, which began in the unit behind ours. All our panels used for our art exhibits we curate throughout town, as well as many other supplies were destroyed. We set up a GoFundMe Page and humbly ask whether you can help financially, or if not, either way please forward to your network of family and friends. Simply click on the link, which will take you to our GoFundMe Page. From there, you can donate, and share on your social media platforms simply by clicking the Facebook, Twitter, and Instagram buttons. Please feel free to share the link on your personal email list as well. We are dependent on you to help make this campaign spread far and wide. Below are just a few of the upcoming events for the SCAA. For more information regarding events, please visit the "Calendar & Events" page. Hyatt Regency Valencia has opened its facility to the local artists of the Santa Clarita Artists Association to display fine art in the newly remodeled hotel and restaurant! Reception is on February 28, 6-8 pm. “Santa Clarita Artist Association members’ art is showcased throughout the Hyatt’s renovation,” said Laurie Morgan, Hyatt Venue Chairperson. General Manager Mark Kirsch, assisted by the SCAA committee, Laurie Morgan, Zony Gordon, and Bruce McFarland, selected from nearly 100 pieces of artwork that conform to the hotel’s theme and motif. “The Hyatt is a lovely gem in our town and we invite the public to stop by for a drink or a meal and view the art in the lobby, restaurant and on the walls along the downstairs corridor, ” said Laurie Morgan. 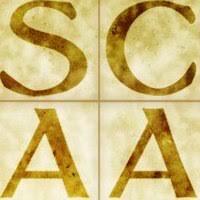 ​Here's the schedule for upcoming shows at the SCAA Gallery. Now you can plan ahead! We will send out a separate Call to Artists for each show when the time comes. "Wild Country and Cow Folk". Welcome to Friday Morning Plein Air Painting. This is a new day to meet and paint around Santa Clarita! We will still be meeting from 9-12. I will arrive at the location about 8:30. From 8:30 to 9, I will share the new concepts and ideas that I have learned since taking on this position at the Santa Clarita Artist Association. This month we will be meeting at Tesoro Adobe Historic Park. Tesoro Adobe Historic Park is located across from the Albertson’s on Copper Hill Drive. From McBean go north to Copper Hill Drive. Turn west on to Copper Hill Drive and go to Avenida Rancho Tesoro (across from Albertson’s) and turn right (north). The entrance to the park is on the right just passed Stoney Creek road. Turn right into the parking lot. The entrance to the Adobe is to right. We will meet from 9-12 on Friday December 28. I will be there at 8:30 to discuss choosing a subject and underlying composition. This is a meet-up group, therefore there is no fee. If you are new to Plein Air painting, come early I would love to help you set up to paint. A view finder is very helpful to choosing your subject. I look forward to painting with you. I hope the change from Wednesday to Friday will work for everyone. Next month’s location Mentryville, on Friday January 25. Call or email if you need further information. Thursday, April 11, 7:00 p.m. - 9:00 p.m.
Get ready for the Santa Clarita Cowboy Festival by learning new line dance steps at JAM Sessions on April 11 from 7:00 p.m. to 9:00 p.m. at the Newhall Community Center! Candy Sherwin will lead a night of lessons at the community center (22421 Market Street) and show you dance step sequences that will get everyone moving together as one. After the lesson, practice your new dance steps as you listen to the sounds of The Mary White Band! JAM Sessions is hosted in conjunction with the Ford Theatre Foundation, bringing dance and original live performances to the Old Town Newhall. JAM Sessions are fun, interactive music and dance events hosted in conjunction with the Ford Theatre Foundation. All JAMs are FREE and all ages and skill levels are welcome. Wear comfortable clothes and shoes, and bring a chair if you just plan on listening to the music. Saturday, April 13, 10:00 a.m. – 7:00 p.m.
Sunday, April 14, 10:00 a.m. – 6:00 p.m. Prepare to be surrounded by life on the American Frontier as the 2019 Santa Clarita Cowboy Festival returns to Old Town Newhall with programming that highlights the sights, sounds and swagger of Cowboy Life. You will be surrounded for two days of fun as performers serenade, chuck wagons serve up treats, and vendors offer one-of-a-kind gear and goods. Admission to the William S. Hart Park event area is FREE all weekend, plus there are tickets available for an almost endless list of additional activities – a chili cook-off, concerts, and tours starting on Thursday, April 11. The Santa Clarita Cowboy Festival is presented by the California Resources Corporation. Check out what's happening this month in Santa Clarita! April 5 – 8:00 p.m.
April 6 – 10:00 a.m. to 1:00 p.m.
April 6 – 7:00 p.m.
April 6 – 8:00 p.m.
April 13 – 7:00 p.m.
April 14 – 5:00 p.m. The public is invited to an artist’s reception at the Canyon Theater Guild, 24242 Main Street, Newhall, on Friday Feb. 8, 2019, from 4 pm – 7 pm. Award-winning local artist and art instructor, Charlotte Mullich presents a one-woman show from Jan. 25 - Feb. 24. 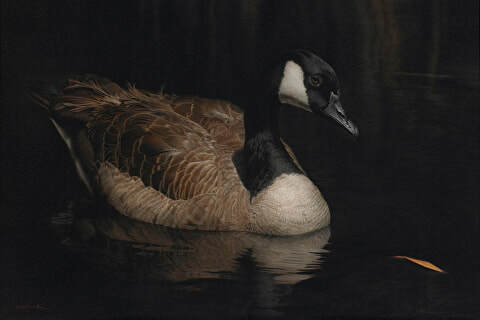 The exhibit titled “Nature Up Close,” includes a series of nature-inspired watercolor paintings. In her watercolor paintings, Mullich searches for the grace, strength and hope of the Earth found in simple natural objects. Her paintings are layered in rich colors, organic shapes and textures that highlight the elegance and beauty of nature. Many of Charlotte’s subject matter focus on close-up views of nature, the changes of the seasons, the change of colors, and fleeting moments of time. Charlotte Mullich is the current President of the Santa Clarita Artist Association. She is a member of the Los Angles Art Association, the Valley Watercolor Society, and the California Art Club. She has exhibited in many art shows and festivals throughout California including the Beverly Hills Art Show, Calabasas Art Festival, the Sierra Madre Art Show, the Pasadena ArtWalk, San Diego Little Italy Mission Artwalk, and Los Altos Art Festival. Charlotte Mullich paintings can be found in client’s collections throughout the US and internationally. Laurie Morgan presents a one-woman show at Canyon Theatre Guild from Nov. 23 to Jan 17, 2019. An artist’s reception will be held, Sat. Dec. 8, from 11 am - 1 pm. The public is invited. Canyon Theatre Guild is located at 24242 Main St., Newhall. Keep up to date on various SCAA and member events. Please fill out the information below to subscribe. Special Thanks goes out to one of our generous sponsors.